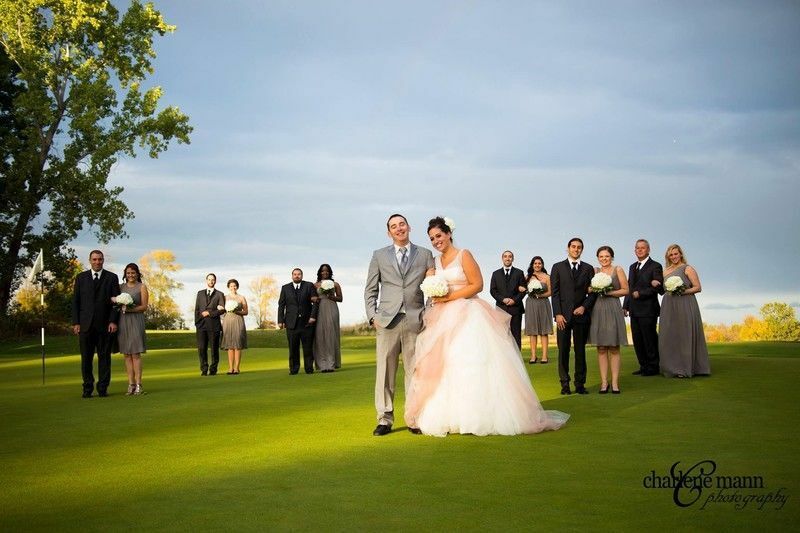 Mill Creek Golf Club, located in Rochester, is a wedding venue that offers couples looking for elegant outdoor settings a magnificent background of the beautiful Rochester skyline. 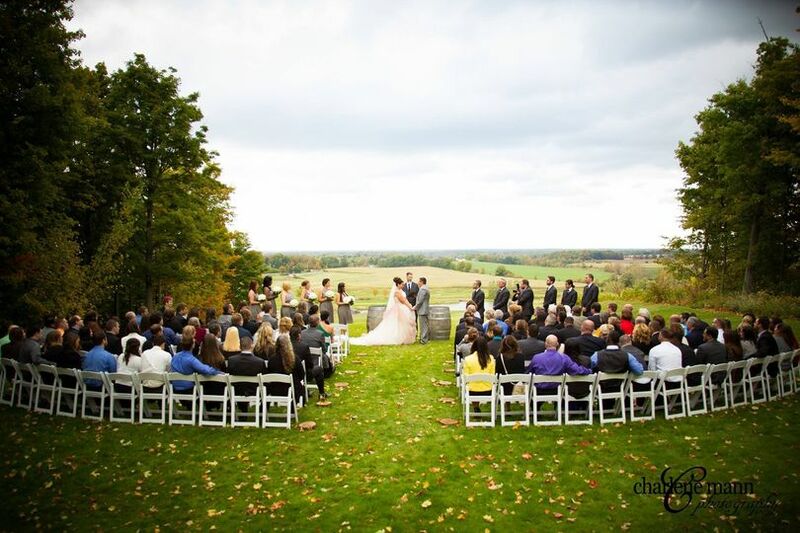 Nestled atop the highest point in Monroe County, this wedding venue is conveniently located 20 minutes from downtown Rochester, perfect for Buffalo and Finger Lakes region weddings. Book your wedding on a Friday and receive 50% off the reception rental fee! Offer does not apply to existing wedding contracts. 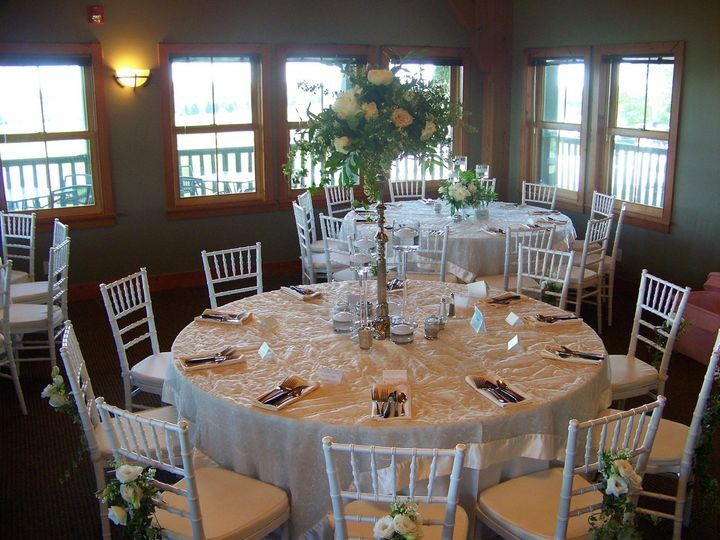 This wedding venue offers two different event spaces. The timber-framed Tavern accommodates intimate weddings of up to 80 guests in the dining room and wraparound porch. 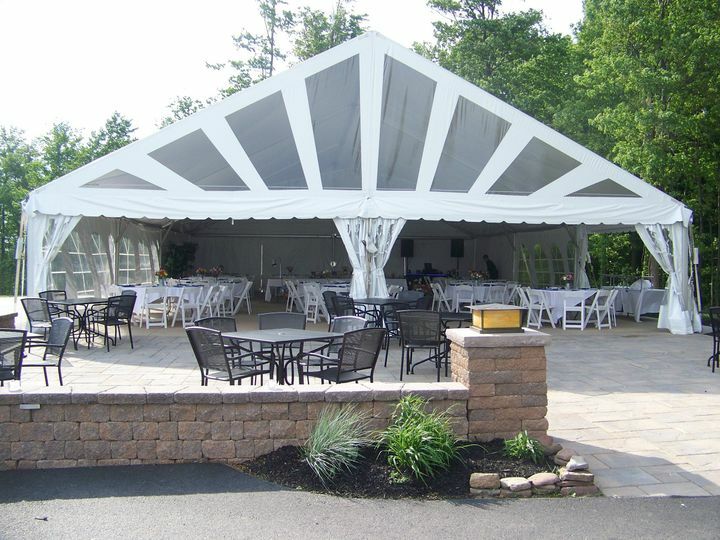 The hilltop pavilion tent can accommodate up to 175 guests. Both offer views of the surrounding countryside, stone accents and boast a rustic charm. 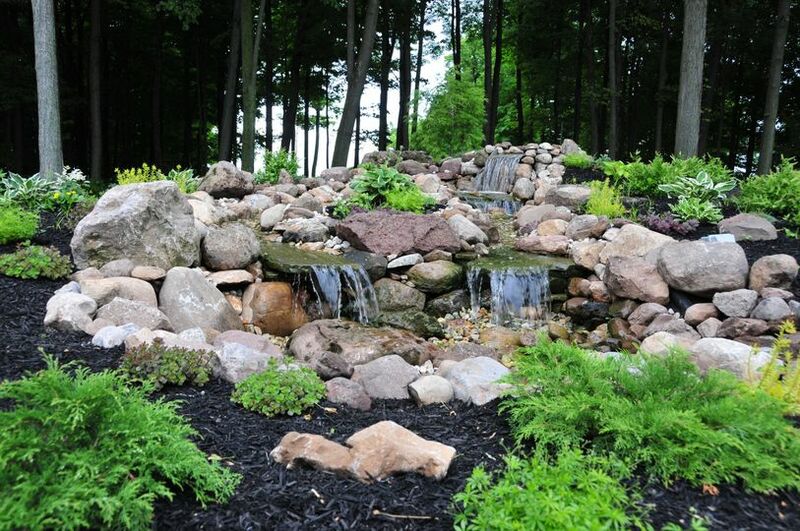 Mill Creek Golf Club provides every couple with a dedicated wedding coordinator for the entire wedding process. 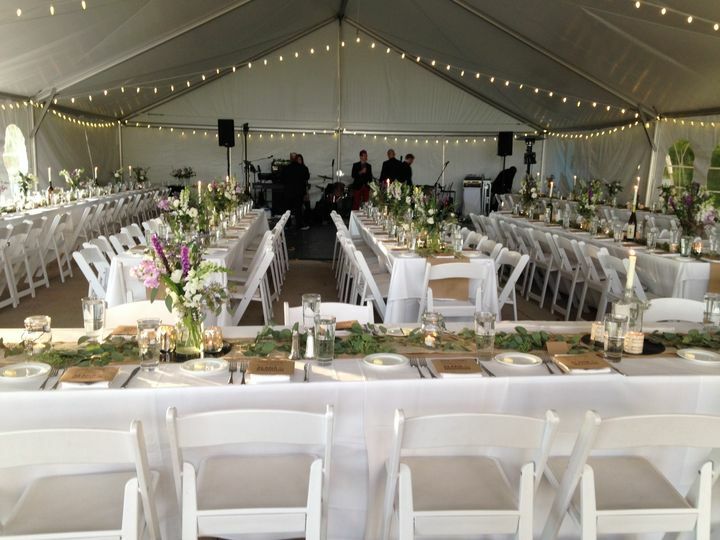 Each package includes event furniture, glassware and a dance floor, as well as cleanup, setup and in-house catering. Wedding packages include buffet or served dinner for receptions, an open bar and a sparkling wine toast for the head table. Mill Creek Catering will also cut and serve your wedding cake. They offer complimentary tea and coffee service to your guests to delight them at every turn. My overall experience with Mill Creek has been excellent from day one. My husband and I searched several venues between Buffalo and Rochester and just couldn't find the perfect place (price and the look we were going for) until we came across Mill Creek. 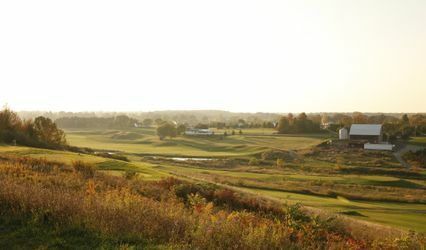 They have the most beautiful view that overlooks woods and the skyline of Rochester. The ceremony location they have on the tenth hole took our breaths away when we saw it for the first time. Jenny was extremely personable with us and made a great first impression. She made the whole planning process a breeze and was a great person to work with. She returned phone calls/emails right away and always seemed to have the answer to all of my questions. Our wedding day (June 27, 2015) was the furthest thing from a beautiful day. It absolutely poured from 8am-11pm. So, all plans of getting married outside and having a nice venue for photos was totally changed. Jenny called me the night before and we came up with a "rain plan"; although it was not ideal she made me feel so much better about how the day was going to go. Although the weather did not cooperate, Jenny and the staff at Mill Creek pulled through and helped to make our wedding day one of the best days of our lives. The rain did not make their job easy as they had to run food from the kitchen to the tent which caused them to get soaked. They all worked so hard all day long and their efforts did not go unnoticed by Shaun and I, our family and our friends. Several people made comments that the servers/bartenders did an excellent job. We had almost 200 people at our wedding crammed under a tent all evening and hardly anyone left early...everyone had a great time despite the weather. Jenny did a great job of keeping everything organized and was a tremendous help with setting up all the decorations for the tent. 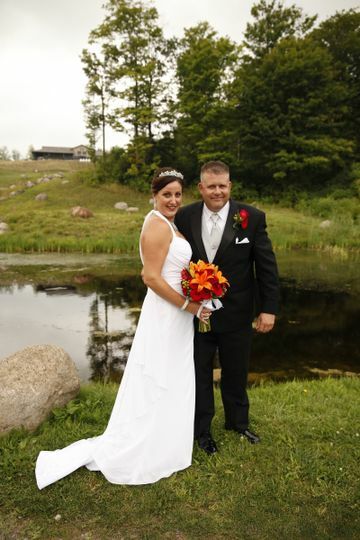 Me and my husband got married at Mill Creek this past September. Our ceremony and reception were both on site. The venue itself is really breathtaking, and we got a lot of comments from our guests about how scenic it was. 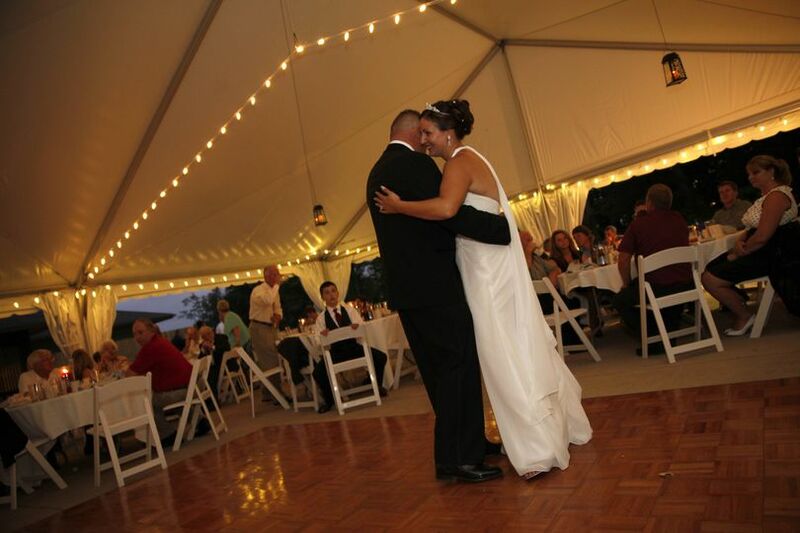 The ceremony site is directly adjacent to the clubhouse and tent, which makes it very easy for guests. Leslie, the event coordinator, is amazing. Really. She was so helpful during the planning process leading up and she was on the ball during the event. She's an absolute professional. We didn't have any issues during the ceremony or reception and everything went super smoothly. Also Mill Creek does their own food and everything was really delicious and came out right on time. Also just a note - I don't live in Rochester anymore so all of this planning was done from a distance and Leslie made that very easy for us. Thank you Izzy! You, and your family, were an absolute pleasure to work with over the last year. I am delighted that you and your guests had a memorable wedding day! Speaking for myself and the team at Mill Creek, we were honored to be part of your day and wish you all the best!! Mill Creek was the perfect location for our wedding 9/16/2017. We worked with Leslie throughout the planning process and the day of our wedding. Leslie was professional, responsive, and amazing to work with. Our wedding day was better than we could ever imagine thanks to Leslie and her team. Thank you for your kind words! I had a wonderful time getting to know you both and wish the very best for your future together! Here's to the 9/16 brides! Book your wedding on a Friday with Mill Creek and receive 50% off the reception rental fee! Offer good for new wedding contracts only. Offer does not apply for existing wedding contracts.